We came as a friend and go back as a family. 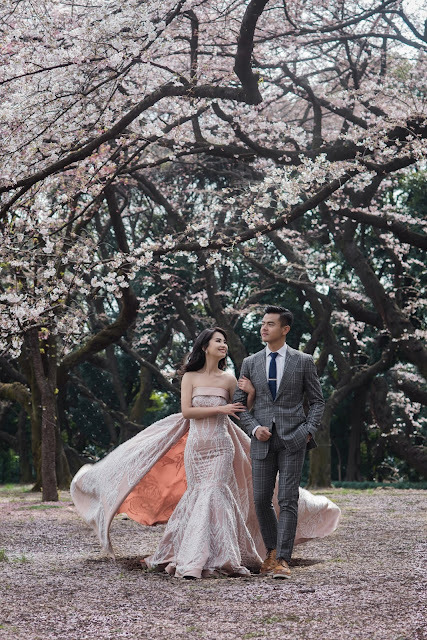 That would be the perfect way to sum up our Japan Pre Wedding session with All Seasons Photography. We just ended our trip but I miss them already! Suddenly our life become so quiet and flat without them. The whole trip was so fun and memorable because of them. It is more like holiday rather than a photo session for all of us. In the beginning a lot of people told us to be prepared mentally and physically for pre wedding photo session overseas ‘cause it would be so exhausting and challenging. So both of us came with full gear and prepared. But we are so so wrong. I don’t know, but maybe we're just so lucky to get a chance to work with these group of awesome people. Oh my God, our life become so easy with their presence. 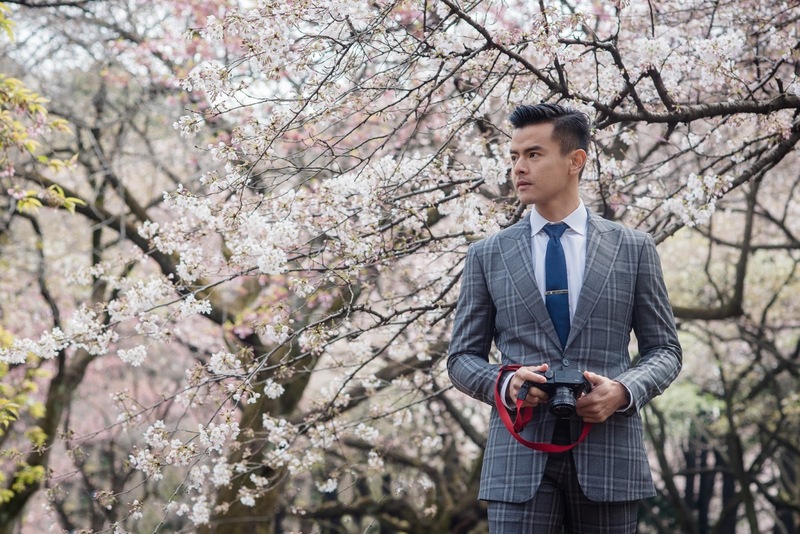 They are definitely more than just a photographer. They just too good to be true. They take care everything for their client. You just need to sit back, relax and pose! The rest, they will do it for you. Let us introduce our bunch of happiness. Mr photographer, Gary, together with Rio from All Seasons Photography and our beloved make up artist, also my very best friend, Malva! We are so lucky to have this group of talented people with us for this Japan trip. From the photo concept, wardrobe, make up, ticket, hotel, you name it. Nothing can’t be done as long as you have them. They always so helpful, approachable and very patience. At all times. I am not kidding. I’m a person who ever worked in service industry before, so I can tell and be honest that these guys are really such a good service provider. You really can rely on them. They are the expert who has been working in this industry for more than ten years. What else you can ask for? Okay, now I will stop talking about Mr Photographer because I need to tell you about our wardrobe. First, let me share about my beautiful dresses. All Seasons helped and introduced us to two talented designers from Surabaya. Le Couture and Priska Henata. I believe those two names are very familiar for people who’s working in wedding industry. They supported in total seven dresses for this photo shoot. Every single dress is beautiful. Every time I put on those dress in different location and different session, there always a bunch of people who are watching and admiring the dress. They even waited for us and asked us what’s the occasion and who made the dress. 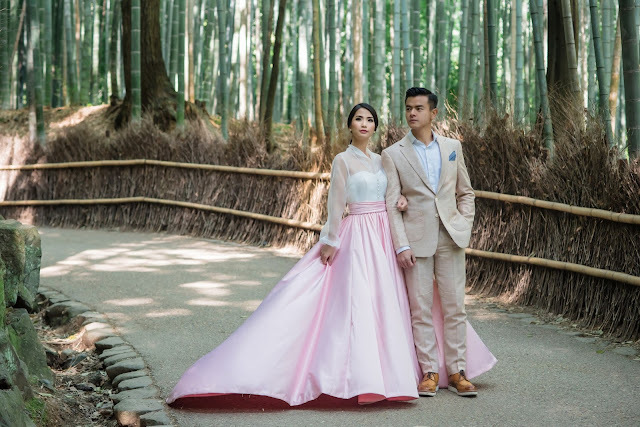 It’s very understandable since a lot of people overseas don’t really adopt pre wedding photo session in their culture. Once we explained, they are very surprised and appreciate all the efforts that have been done. Thank you Le Couture and Priska, you really make us and Indonesia proud. The beautiful dress won’t be perfect without a pair of perfect suit next to it. That’s when we need Wong Hang tailor. Dion is such a loyal customer to Wong Hang. They’ve been working together for years. So for this special occasion, we don’t need to think twice. We just need to contact the expert. If you think no one knows Dion in Japan, you’re right. But if you think nobody admires him in Japan, then you’re wrong. I am serious. Dion even got stopped by the local Japanese men who speak with their broken English (but still cute! ), telling him that he dress very well. Very fashionable. I remember there were a group of lady who told me that my fiancé is so handsome and he looked like a movie star. 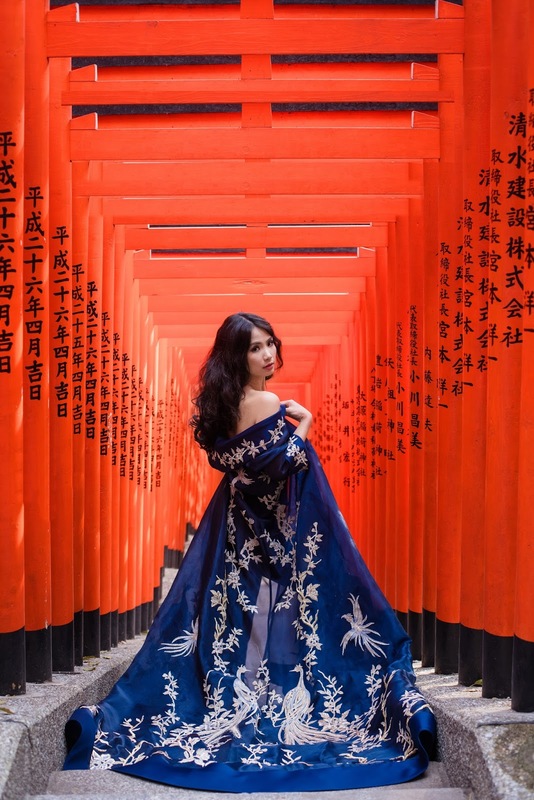 Wow, these Japanese ladies really have such a good eye. Big thanks to Samuel Wongso for all the perfectly fitted suits! Last but not least, the one who cherish this entire Japan trip, my best friend who always by my side, do my make up everyday, fixed my hair, helped me with every single thing during this photo session, my make up artist, Malva! I am totally nothing without you, my girl. Even during the most casual session, people will still stop and watch our photo session and thought that I’m some kind of model or movie star, it’s only because of this talented girl who always transform me into beautiful princess. What can I do without you. You are just the best. If you guys think I praise her only because she’s my friend then you might need to think again. I am not that kind of girlfriend who’s that lovey dovey and fake. I’m very straight forward and open. If they’re doing great, good for them. But if something is not right, I won’t hesitate to just tell them off. I just want the best for my very best friend. I know what this girl is doing. I love the fact that she’s been working so hard in the past few years. She deserves this. I never seen her so passionate into something like what she’s doing right now. Make up. Wedding. She knows how to turn her client to their very best look. I am so proud of her. 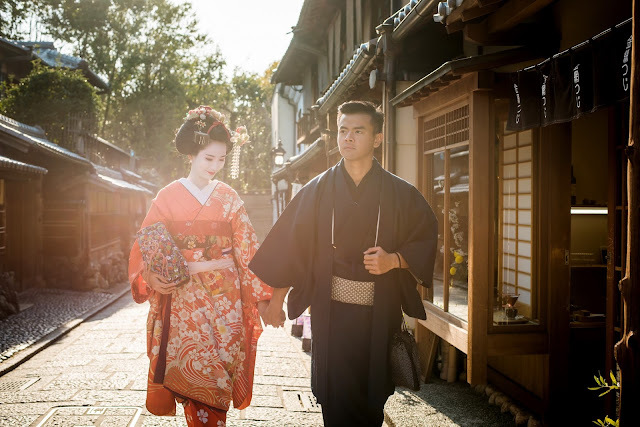 Here are some of the photos from our Japan Pre Wedding Session. Hope you guys love the cherry blossom as much as Dion loves it! It’s his first time to be in Japan during this beautiful season. Hope you guys love the photos!